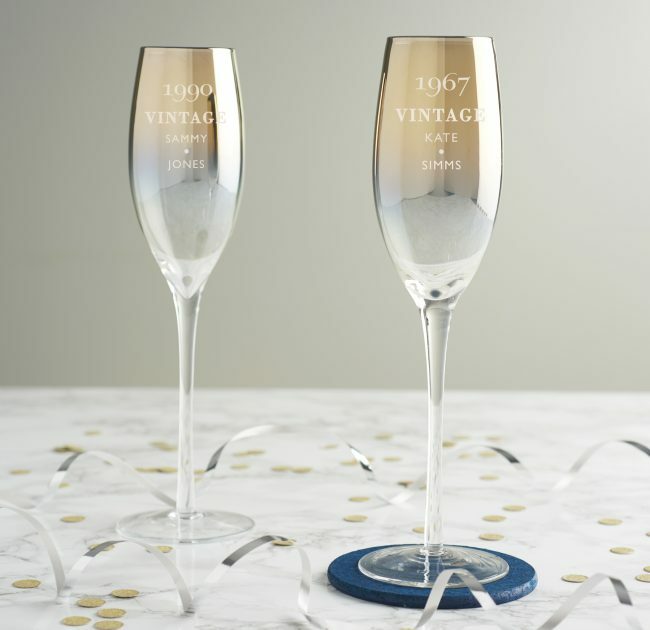 This birthday champagne glass is the ideal gift for a bubbly lover celebrating turning an age which could be described as vintage. 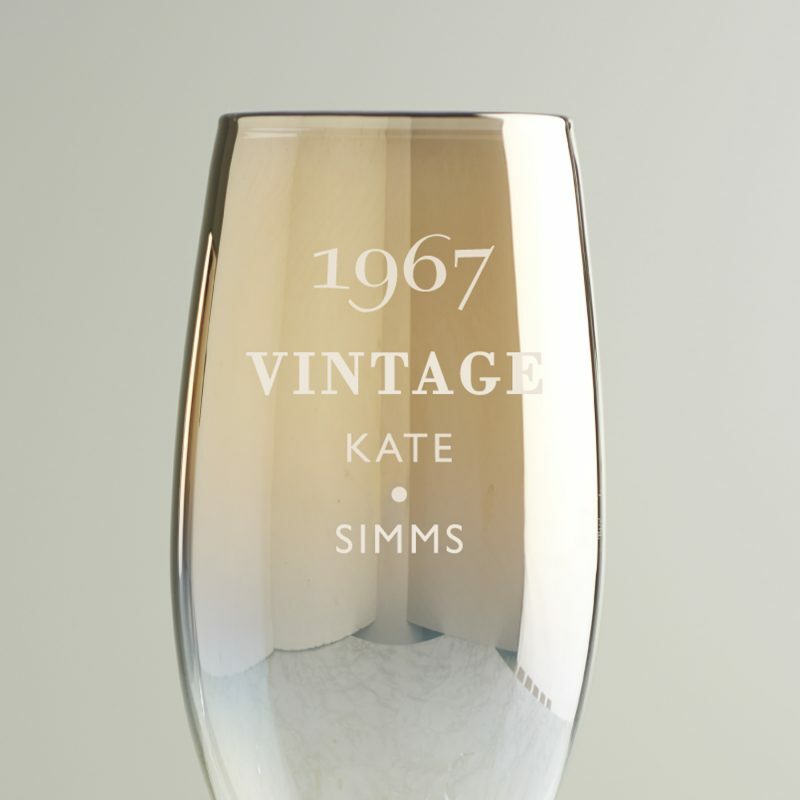 The glass will be etched with the word ‘VINTAGE’ and you can personalise with a year and two lines of your choice. Enter the recipient’s year of birth into the personalisation box, and add up to twelve characters for each line to include their name or a special message. We will etch exactly what you enter so please double check your personalisation. 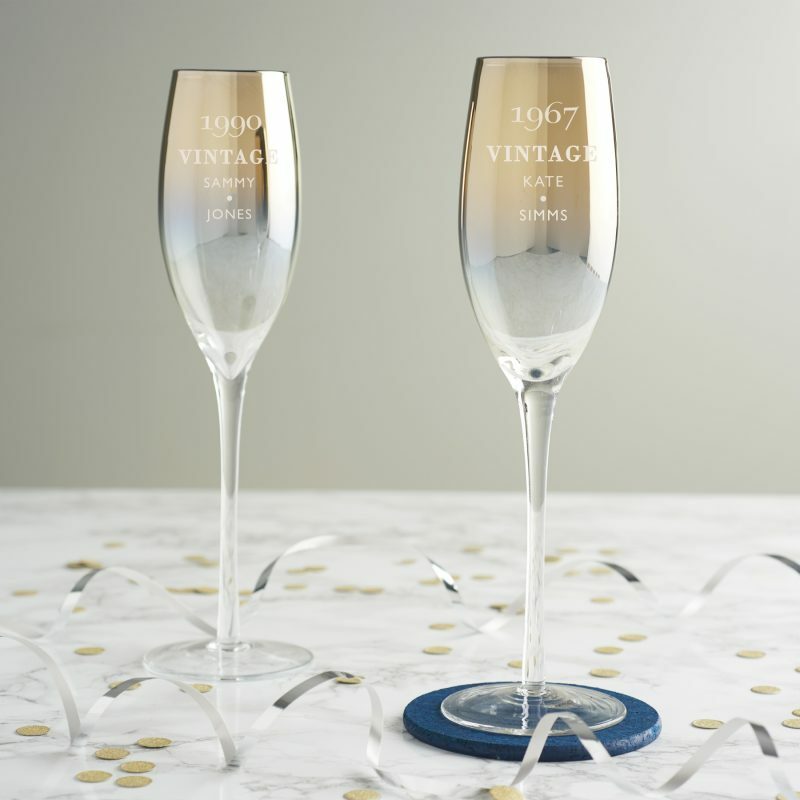 Each champagne flute is hand etched to order in our studio in Liverpool.